1. Pre heat oven to 350 degrees, line a muffin pan with liners. 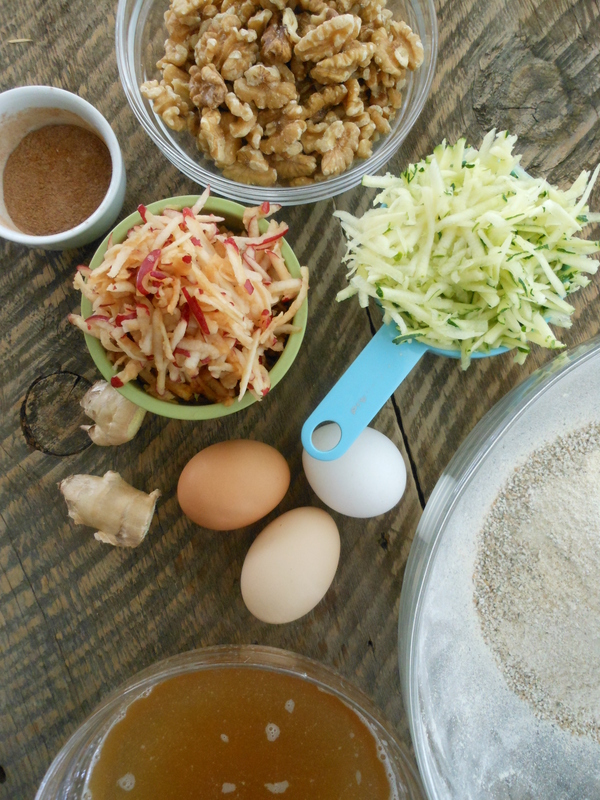 Sift all the dry ingredients together in a large bowl and set aside. 2. In a small saucepan melt the coconut oil and honey together until just melted, to not over heat or bring to a boil. Remove the mixture from the heat and let cool just a bit, whisk in eggs one at a time. 3. Add the wet mixture to the dry ingredients, add the fresh ginger and whisk just to combine. 4. 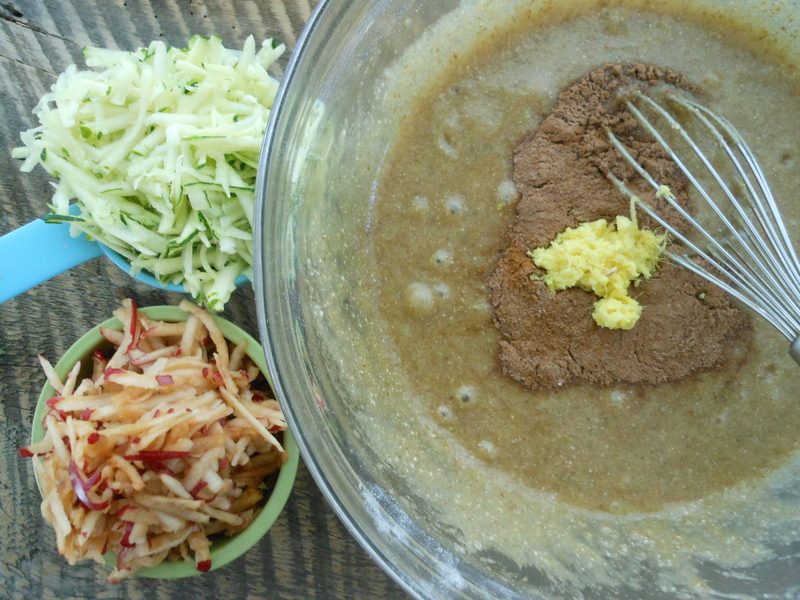 Add the grated zucchini and apples, fold into the mixture. Add the walnuts and fold them in until well blended. 5. Scoop the mixture into the prepared muffin tin and place in the warm oven. Bake for 30-35 or until a toothpick comes out clean. Let cool. 1. Using a standing mixer or hand held mixer blend the butter, half and half and spices until mixed. 2. Add the powdered sugar 1 c. at a time until desired frosting consistency is reached. If you can believe it I still have zucchini from my garden! I thought I had planted a cucumber plant but it ended being a zucchini plant, I was overwhelmed with the abundance that just ONE plant yielded. I now know why people gift those tenacious little buggers and just like everyone else I was scrambling to find something to do with them. 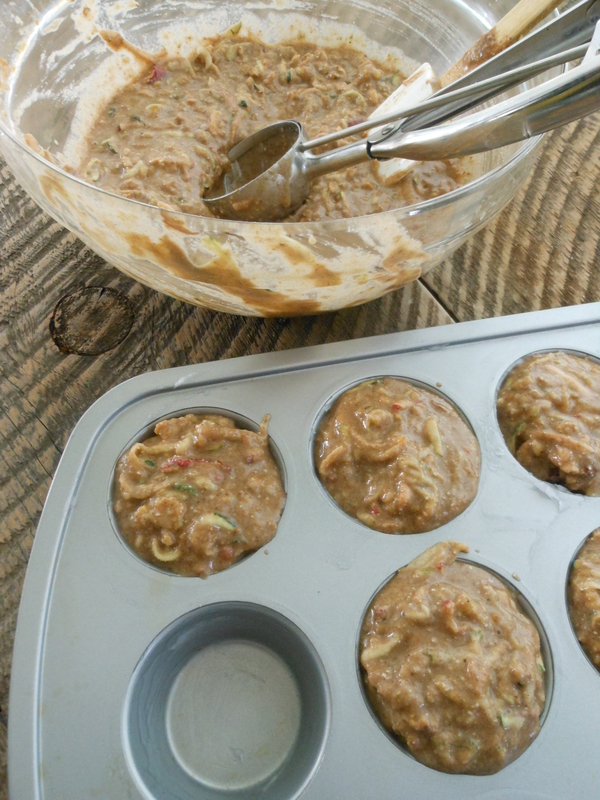 Since I had all that zucchini and apples were starting to show up at my Farmers Market, these muffins where my solution to the seasons changing, utilizing what I had and the need to bake something warm and comforting. 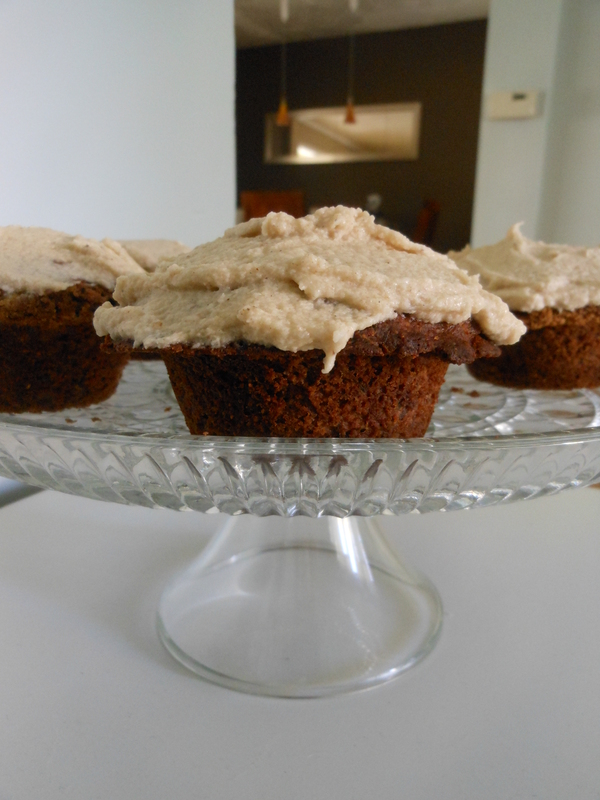 Here’s the real deal, these are a muffin recipe that can be tricked out with butter cream frosting and passed off as a cupcake! Sneaky right? They are perfectly delectable on their own, so much so that my friend is making these for her new bakery. They are perfect with tea or coffee, a co-pilot for your green smoothie, and they are totally gluten-free! Equally as impressive frosted and served to your book club or child’s birthday party. ENJOY! These cupcakes look delish!! I need to make these!! 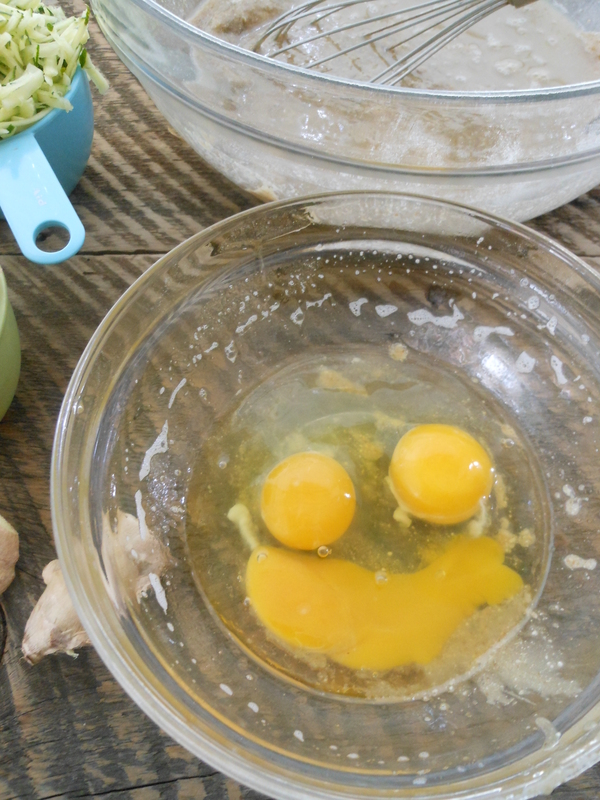 Love the picture of the cracked eggs in the bowl-great smiley face!!! Hope all is well!! Thanks Kathy! Pure accident on the smiling eggs, had to post it. Hope all is well with you.